This entry was posted in Graphic Examples, Like Show Business and tagged Bill Campbell, Keith A. Miller, Rosarium Publishing, Tobias Buckell, Tommy Nguyen by Mike Glyer. Bookmark the permalink. Great to hear this news! Keith Miller is the real deal. Don’t know Tommy Nguyen but what I’m seeing looks promising. Yeah! 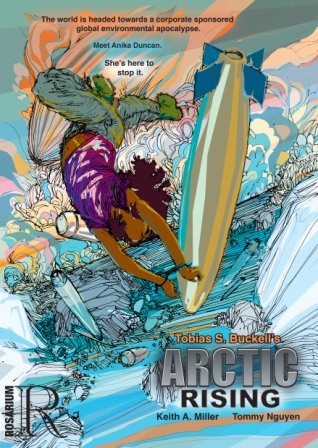 I just finished listening to the audio edition of Arctic Rising. I could not have been more pleased with the comprehensive world building, plotting and character development. Being able to read it as a comic book is an awesome idea.